In December 2010, Qatar was awarded the 2022 World Cup. This is the first time in history that an Arab country will host the Cup– the world’s premier sporting event. In order to prepare for it, Qatar is spending an estimated US$100 billion to shore up existing infrastructure and build new infrastructure, including airport, roads, and stadiums. Hosting the World Cup is an attempt to boost Qatar’s image internationally. As part of this attempt, Qatar displayed a World Cup-themed exhibition at the 40th session of the United Nations Human Rights Council entitled “Qatar, See You in 2022” promoting the Cup, and using the glitz and glamor of hosting this prestigious event to whitewash human rights abuses. The decision to award hosting rights to the 2020 World Cup to Qatar has been widely criticized due to concerns over the country’s human rights violations. Among the concerns is the use of forced migrant labor. The International Labor Organization’s (ILO) Convention 29 defines forced labor as “all work or service which is exacted from any person under the menace of any penalty and for which the said person has not offered himself voluntarily.”The process is part of the kafala system of labor sponsorship where foreign workers, including from Nepal, India, Bangladesh, and Pakistan, face restrictions tied to their visas. Within the kafala system, workers require a visa sponsored by their employer. This gives employers a hold over their workers, forcing their workers to receive approval if they want to change jobs or leave the country. In addition, workers frequently suffer difficult work and living conditions, and have their salaries withheld, and their passports confiscated. In November 2017,following increasing publicity of abuses and human rights violations directly linked to World Cup related building projects, Qatari authorities announced they would cooperate with the ILO on reforming the kafala system and labor laws. As part of this effort, the Qatari government recently introduced a new labor law to abolish the kafala system and address some of the restrictions imposed by employers. However the reform has failed to adequately solve these issues and workers still face exploitation and ill treatment. Despite these concerns, in December 2010 FIFA awarded the World Cup to Qatar, although the selection process has now been called into question by evidence of endemic corruption during the bidding process. As a result, it has been speculated that Qatar won the World Cup through bribery and by paying millions of dollars to members of FIFA’s executive committee ahead of the final vote. Major sporting events should be an occasion to promote democratic values, social progress, and human rights. Big infrastructure projects should provide fair salaries and decent and safe working conditions for workers, including migrant workers. As a result, the World Cup should be an opportunity for Qatar to address and resolve human rights abuses and concerns. Qatar is not the only Arab Gulf country where sporting events have raised concerns about human rights violations. 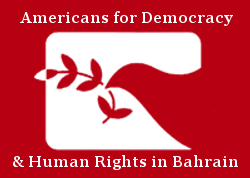 In Bahrain, the government has arrested and persecuted athletes who were involved in the peaceful 2011 protests, including Hakeem AlAraibi, a football player who was arrested in 2012 for a crime he could not have committed. Officials detained him for four months and tortured him. He was later sentenced to 10 years in prison in absentia while he was playing in a game in Qatar. AlAraibi fled to Australia, where he was granted asylum in 2017. However, when he travelled to Thailand in November 2018, he was arrested and Bahrain sent an official extradition request. Thailand continued to hold him until Bahrain eventually withdrew the request. Qatar should use the opportunity to organize the 2022 World Cup to not only change its image, but to improve its human rights record, labor conditions, and address major social concerns, including among migrant workers. Evidence of exploitation of migrant workers, human rights violations and corruption indicates that until now Qatar has wasted the opportunity.